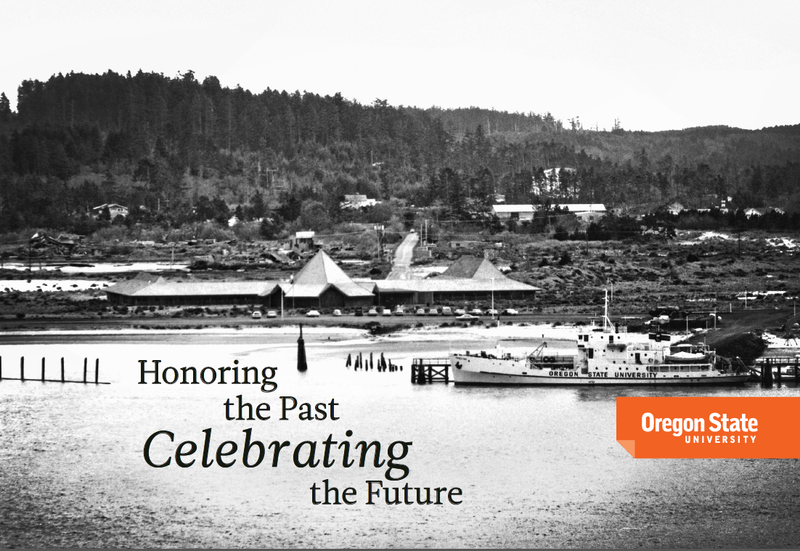 Oregon State University’s Hatfield Marine Science Center is excited to celebrate our 50th anniversary, a half-century filled with exploration and discovery. This introduction to our past, present, and future highlights some of the rich stories about the people and events that have made HMSC the world-renowned center of ocean research and education it is today. In Newport, Oregon, our eyes have always been turned toward the magnificent and bountiful ocean that is our backyard. Native Americans were the first to harvest seafood from our coastal waters. Early European settlers were drawn to Yaquina Bay’s vast oyster reefs, exporting the briny bivalves far and wide and fueling the first of Newport’s growth spurts. Tourists came for the restorative powers of the ocean, taking a west-bound train to what is now the Bayfront, and later trekking to Nye Beach. A healthy and productive commercial fishing fleet grew, harvesting crab, salmon, groundfish, shrimp, tuna, and many other species; today, the seafood industry remains one of our most important economic engines. And our curiosity has led us to study the sea, to ask questions, and to make incredible discoveries. The epicenter of that inquiry is Oregon State University’s Hatfield Marine Science Center, which is celebrating its 50th anniversary this year. More than an outpost of OSU, HMSC is a center of collaborative research, hosting 300 scientists and support staff from multiple OSU colleges, the National Oceanic and Atmospheric Administration (NOAA), the U. S. Environmental Protection Agency, the U. S. Fish & Wildlife Service, the U. S. Department of Agriculture, the U. S. Geological Survey, and the Oregon Department of Fish and Wildlife. Read on to learn more about our past, present, and future – at 50 years and counting, we’re just getting started.